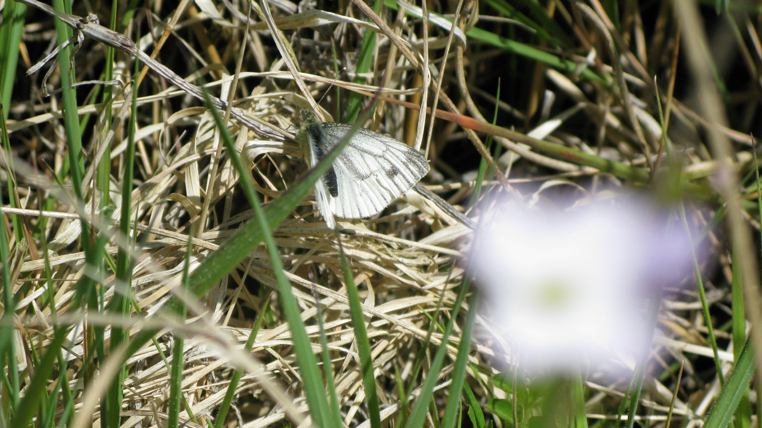 The project takes as a starting point the method by which butterfly data is recorded, where detailed counts are made of all butterfly species seen along a fixed route, called a transect, that is walked each week over a period of time. This is considered as scientifically rigorous data, that can be analysed to detect declines or increases in the populations of butterflies from year to year. The film looks at the subjective aspect of staking a path for the gathering of information and explores the alignment of an actual experience of a place with scientific facts about it. Lough Boora parklands are man-made but resown with nature and oscillate between a planned and executed project and something uncontrollable and wild. A camera traces a route in the parklands, observing grasses, plantlife and fauna. This path is retraced several times, in each attempting to capture on film a number of butterflies. Elusive and difficult to pin down, the film attempts to walk a line between the production of a fact in a rational manner and where objectivity is transcended when the subjective and the sublime come into sight.